CBS All Access: Worth it for more than Star Trek? 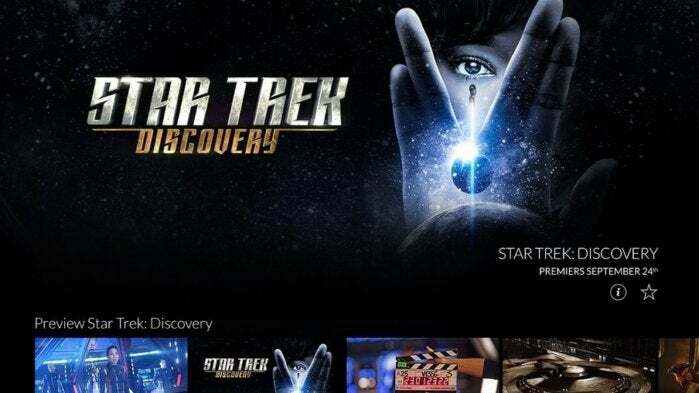 Aside from streaming exclusives like Star Trek: Discovery, much of the catalog is available elsewhere. Over-the-air DVR: Do you really need it? Although CBS All Access has been around since 2014, it enjoyed some extra time in the spotlight this week with the premiere of Star Trek: Discovery. After the first episode aired on CBS proper, the network whisked people over to its standalone streaming service, which hosted the second episode and will be the series’ exclusive home from now on. CBS says the move prompted record sign-ups for All Access, which already had around 1.5 million subscribers by some estimates. This seems like a good time to dig in and see what you get for that $6 per month ($10 per month, if you prefer the ad-free version). 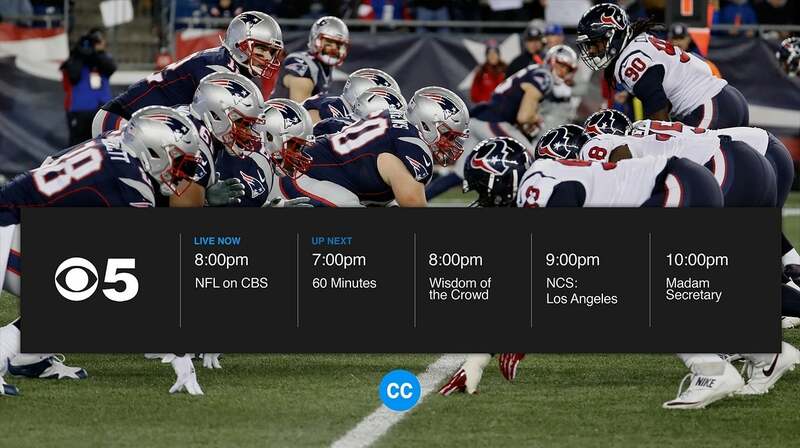 As you might expect, All Access is the cheapest way to watch the live network feed and new CBS shows on-demand—at least without setting up an antenna and an over-the-air DVR. But it’s not the only way to do so, and much of the network’s back catalog is also available through other services. The live feed is the same as what you’d get through cable or an antenna, including local news, primetime shows, and sports. (One exception: NFL games won’t play on smartphones, due to the league’s exclusive mobile streaming deal with Verizon Wireless.) But there are some caveats: You can’t pause, rewind, or record live TV, and the video quality is inferior. 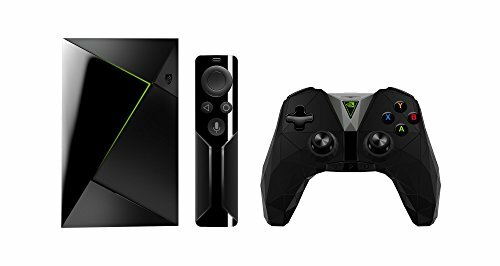 The live TV feed appeared to be muddy and pixelated on a first-generation Fire TV, and while Apple devices fared better, they’re capped at 30 frames per second. 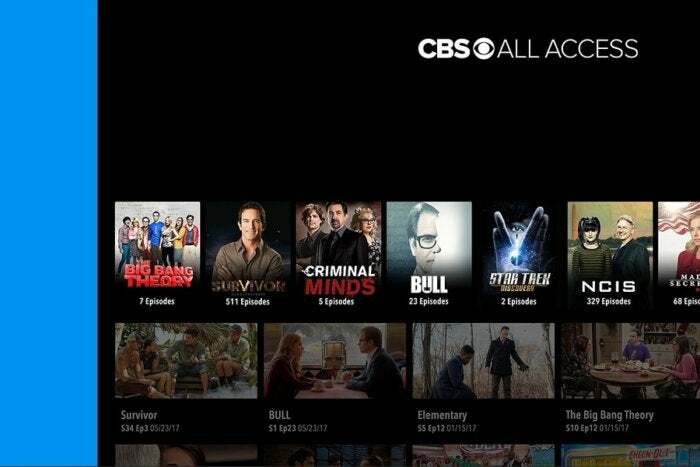 CBS All Access offers live TV in many areas, but no time-shifting or DVR. Even if you can’t get live TV, CBS All Access’ on-demand catalog is still available nationwide. This includes primetime and daytime shows the day after they air, a back catalog of classic CBS programs, and some streaming-only shows such as Star Trek: Discovery and The Good Fight. The service also has a couple dozen seemingly random movies, including The Usual Suspects and Star Trek: Nemesis as of this writing. Whether you go with the $6-per-month ad-supported version or the $10-per-month ad-free version, the service allows up to two simultaneous streams. You can also buy an annual subscription for $60 with ads, or $100 without ads, effectively giving you two months free per year. If you have a Showtime streaming subscription already, you can also add a CBS All Access subscription for a $2-per-month discount. 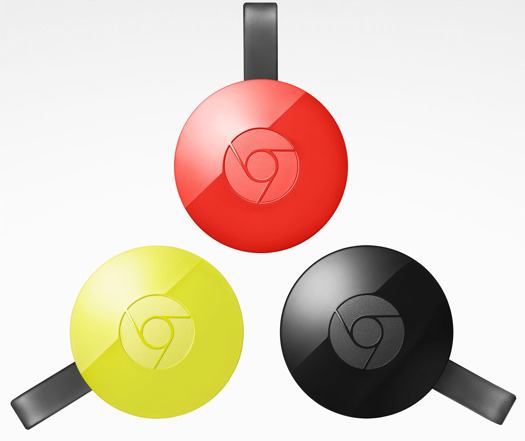 As for app support, CBS All Access is available on Apple TV, Chromecast, Fire TV, Roku, Android TV, Xbox consoles, iOS, Android, and Windows. Cancelling CBS All Access is a low-hassle experience. Just head to the account page, and select “Cancel my subscription.” If you sign up for the current seven-day trial, you can cancel right away and still use the service for a week. You may even get an offer for a free month in exchange for not cancelling. The main benefit of CBS All Access is next-day, on-demand episodes from the broadcast network. Most programs offer at least the current season in its entirety, and many include every episode from past seasons. Want to watch 329 straight episodes of NCIS? Now you can. There are some exceptions. Big Bang Theory, for instance, only has the season 11 premiere right now, and has offered a random selection of episodes in the past. In these cases, the show is produced by an outside studio, and CBS doesn’t have the rights to stream every episode. In general, though, CBS All Access is a fine option for binge-watching current network shows. But if you’re just looking to stay current on existing shows, you do have other options beyond cable. DirecTV Now, FuboTV, Hulu with Live TV, and PlayStation Vue all include CBS in their base packages, and could be a better alternative if you already need a streaming TV bundle for other channels. While their on-demand catalogs are less expansive compared to All Access, all except DirecTV Now offer DVR features, and they support time-shifting for live TV to boot. CBS hopes exclusives like Star Trek: Discovery will help All Access stand out. Meanwhile, the CBS All Access back catalog isn’t as special as it might seem. Access to every episode of every Star Trek TV series sounds appealing, for instance, until you realize that Netflix, Amazon Prime, and Hulu all offer those shows as well. The same is true with CSI: Miami (every episode’s on Hulu) and 7th Heaven (on both Hulu and Amazon Prime). That brings us to original series like Star Trek: Discovery, which are supposed to justify an All Access subscription when all else fails. The problem is that CBS doesn’t have enough of these shows to sustain a year-round subscription. Beyond Star Trek, the only other originals right now are The Good Fight and a new variant of the reality show Big Brother. And so far, CBS has only announced a few more shows to come. Netflix and Amazon both have dozens of originals, and Hulu has been catching up. Perhaps the saving grace of CBS All Access is that it’s stable. While Netflix and Amazon Prime are constantly cycling through TV shows and movies that they license from other networks, the All Access catalog is a known quantity that’s likely to remain available for the long haul. But because of that—and the breezy cancellation process—there’s little risk in picking up and dropping All Access in short bursts as needed. Keep that in mind as CBS looks to lure you in with its new version of Star Trek.